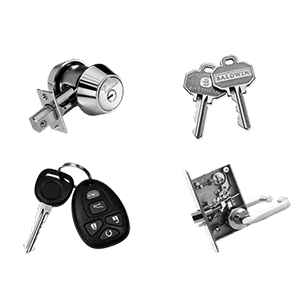 LOCKSMITH IN CAPE CORAL THAT CARRIES DOOR HANDLES, DOOR LOCKS, RE-KEY LOCKS, MOTORCYCLE KEYS,CAR KEYS,MAILBOX LOCKS IN HIS CAPE CORAL LOCKSMITH TRUCK. THE RESIDENTIAL LOCKSMITH IS ONLY 15MIN AWAY TO UNLOCK YOUR DOOR LOCK FAST WITH 100% SATISFACTION GUARANTEE. Welcome to APM Locksmith in Cape Coral which provides local locksmith that will come to your home to install a new door locks, door handles, rekey existing door locks with new keys. We make keys on site with our fully equipped van. Contact APM Locksmith Cape Coral.When local locksmith arrives he will check the following at your request. Do all exterior doors have quality dead bolts? If doors have a glass,is dead bolt a double cylinder? Are door strikes high security and secure into framing stud? Are outside hinge pins of door secure? Are windows secure with high quality locks? APM Locksmith Cape Coral wants to make sure your home is safe and secure for you. We are ready to help you.Call the APM locksmith cape coral. AAA Locksmith Cape Coral, Locksmith, Locksmith Cape Coral, Locksmith Fort Myers, Lee County Locksmith, Emergency Service, Fort Myers Locksmith, Cape Coral Locksmith,Locksmith Cape Coral Fl, Locksmith Winter Park FL, Car Lockout,Business Lockout, House Lock out, Residential Lock out, Locksmith near me, Lee County Locksmith Service, Need Car Keys, Need House Keys, Car Locksmith, Mobile Locksmith, Need Gas, Need jump, Roadside Service,Cape Coral.